Movement in the Jodi Arias Case? 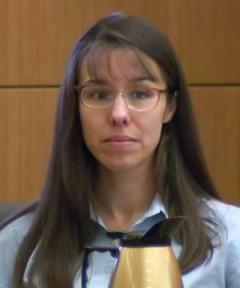 A reporter for an Arizona newspaper tweeted some interesting news about the Jodi Arias case. The reporter noted that “settlement conferences are used to reach a plea agreement.” Since there has already been a conviction they may be discussing sentencing options. If so, it’s expected that her lawyers will try to spare her from the death penalty. Even though the conference is “on the docket,” there is no guarantee that it will take place. Delays are characteristic of this court. If the conference does take place, it’s unlikely that it will be open to the media. If you were Travis Alexander’s family, would you forego your desire for the death penalty and settle for life in prison? Debra Milke and Johnathan Doody both had their death-sentence verdicts tossed out of court on federal appeals cases. In that case, life without parole all but guarantees that Jodi Arias never leaves prison. As a family member of a murder victim who’s killers were sentenced to death in the State of AZ, I can speak with some clarity on what the system does to family members. One of my sister’s killers DID get off death row with a “mental retardation” claim. In fact, appeals attorneys argued that for both of her sophisticated premeditated murderers. 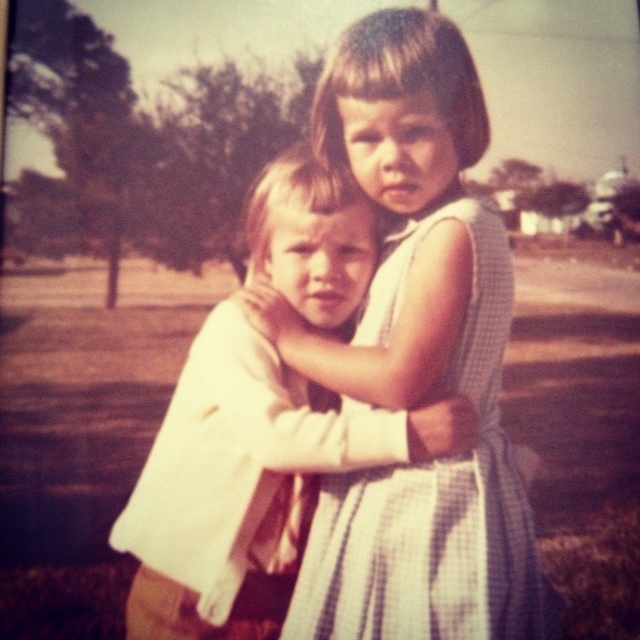 The worst treatment my family ever received was from death penalty appellate lawyers. This family however, has been tortured by Arias’ defense team from Day One. They’ve also been maligned and demeaned by the local reporter you mention here: Michael Kiefer who has shown sympathy to Arias time and time again in articles and to my ears personally. He is firmly planted in the Arias defense team camp so take anything he reports as “objective” with that knowledge. In our cases, there was no LWOP in the state of AZ. It was either Life WITH parole in 25 or death. So the DP was a no brainer as they were both in their 20′s and had a chance of release. The odds of a death row inmate actually being executed are in the single digits in terms of percent. The odds of families being tortured are about 100% throughout the lengthy, decades long appeals process. Those very people championing for “life” will be the very ones putting completely innocent grieving family members through the ringer. Then blaming them for their suffering (I had Michael Kiefer do that exact thing to my face during the Arias trial in the courtroom). So it’s not an easy road for families. I’m a proponent of something called “Life Row”. Let the “worst of the worst” of our society not get the “best of the best” legal assistance but get what they deserve: to be forgotten in isolation. Remove the access, the web pages that read like singles ads, the high paid attorneys fighting to put danger back on the street, get rid of it all. Let them rot behind some closed door not profiting even in attention for their crimes. And let the family members move forward without the constant harassment. WE DID NOTHING WRONG. With all of that being said, I support the Alexander family 100% in whatever they want for whatever reasons they want it, which by the way, they don’t have to justify to anybody. If they stand steadfast to the DP for Jodi Arias, I stand in solidarity with them holding their hand every step of the way. It’s their life and they are standing in it and they get to decide. While we’re at it, let’s limit, legally the number of appeals they get on this Life Row. In years or actual numbers. You get ____ shot at an appeal then you are done, case closed. Now that would be a breath of fresh air and maybe we’d finally start to see deterrence enter in to the picture. Thanks for being such a wonderful proponent for these cases, KCL. Your words speak nothing but the truth, and it is unfortunate that the families of victims must suffer repeated indignities. I am glad you let your words be shared and heard! Best wishes are always desired for you. I give my full support to you and to the Alexander family. David Westerfield is STILL in the appeals process, after having been convicted of killing little Danielle van Dam, and being sentenced to death in JANUARY OF 2003!!! INSANE! I like your idea of LIFE ROW. The worst of the worst should suffer a long life of drudgery, boredom, isolation, bad food, and only themselves to keep them company. Well as you know love, Cindy’s murderer has been on death row appealing since 1990! After 18 years the one was released from Death Row back in to General Population, leaving his brother behind. Who’s still appealing, was once “mentally retarded” yet guilty but now I guess he’s claiming innocence again. Insane. I just cannot fathom your disdain for “the system.” Sometimes I wonder for whom it is really working. Of course the presumption of innocence is paramount…..but GUILTY & sentenced to death…they’ve had their Due Process…their “day in court.” What’s the POINT if they are allowed to appeal until……well, until……WHEN??? GRRRRREAT! On a personal note to you Kathy, he is a despicable man, “F Michael Kiefer and the horse he rode in on”, as a funny lady once said. He jumped the shark some time ago but has really lost all ethics on this case. Good for you, Kathy. I found a disturbing picture on the Jodi Arias Support Page on Facebook–it’s a selfie in a car with her hair blonde in front & darker in back–the way she testified her hair was prior to the death trip. She has 2 other selfies with the dark brown color with her sitting in the car. I think this is also a pic on her death trip–I think she dyed it that darker color in Salinas. I wonder if I should send it to someone in the prosecutor’s office? It proves she dyed her hair if the photo was taken on that trip to kill Travis. I know she’s already been convicted of premeditation, so maybe it doesn’t matter. It does show her devious plan to alter her looks on the way to the killing. Oh–and Kiefer is such a pig he makes me sick. I’d like to see that pic Lara. I heard from Tanisha and Steven today and they are totally united in wanting the Death Penalty for Jodi so I stand in 100% solidarity with them on that decision as I always have. Good for them. Times like these must either bring a family closer or leave a terrible divide. I am glad they continue to support each other and will see this all the way to the end. May they one day find some peace and rest. Do you know what is going on with the Settlement Conference next month? It seems to be just a normal part of the legal process–not something that necessarily means that any plea deal will be taking place. I don’t get why the Judge would be involved in a settlement conference. It is usually done through mediation, at least here in Florida. Unless they have reached an agreement and Judge has to approve. Just doesn’t make sense. Kudos to you, Kathy! I admire your fortitude and stand in solidarity with you & Travis’ family…I am praying that Travis’ friends & relatives be spared a ‘repeat performance’ by the dastardly defense team duo. You heard it directly from Tanisha, that the family DO want to go ahead. I believe Juan Martinez will do everything he can to move forward so the fact that there is anything by any title on the docket does not represent any standing down on the part of the state. I agree with you, if THEY feel they can handle the stress of going through it again, and they believe they have weighed the pros and cons of appeal process vs her being in lock down on death row, then that is their decision. Hopefully them knowing what transpired in your case can be a template for them of what to look out for. I think you sharing your story MATTERS!!! I don’t really care about JA getting the death penalty anymore. I bet it would sound great to hear the words ‘We the jury fix the penalty at death’ but she’ll just get put on a pedestal after that. Bravo & well said! You’ve opened my eyes to so much regarding the DP. It’s an absolute travesty how the convicted become the ‘victims’ & the real victims are forgotten.